A Diamond Previews Exclusive! 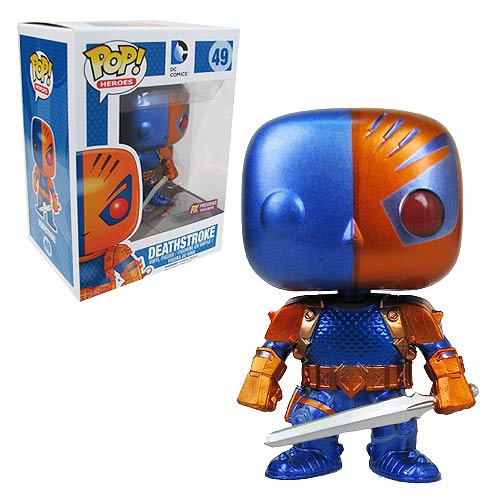 Longtime Teen Titans arch-villain and current foil to TV's Arrow, Deathstroke arrives in Pop! Vinyl form with a metallic sheen! The Deathstroke Metallic Previews Exclusive Pop! Vinyl Figure measures 3 3/4-inches tall, with multicolored eyes and a sword. Ages 14 and up!